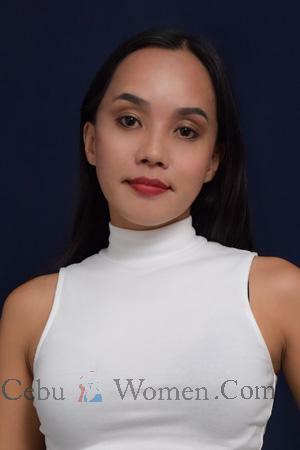 Meet Cebuana girls for marriage who are waiting to be with a man like you. Cebu is an island with rich history and vibrant people. Just as it is in every culture, marriage is considered as a serious ritual between a man and a woman. Throughout different races and backgrounds around the world, the perspectives on marriage may differ. Be it tradition or religious values, a couple’s married life may significantly be different as compared to the norm in today’s society. This being said, with various marriage cultures come various types of brides. Brides from Cebu, however, are naturally capable and loving partners to have for life and this is evident with the rich culture of their country, The Philippines. “The Pearl of the Orient Seas”, or the Philippines, is home to friendly and loving people. The women are the epitome of patience and care. They naturally know how to treat those they love from the teachings they learned throughout their childhood. Being family-oriented and openly-loving toward their neighbors, Cebu women make ideal brides. It’s safe to say that these Cebu women seeking marriage are perfect choices in terms of tying the knot. See for yourself how beautiful single Cebu women are in person! Join our group tours to meet them! It is without a doubt that women in Cebu have attractive physical qualities. From their radiant smiles to their caramel-brown skin, it’s hard to keep your eyes off them. They bring joy and vibrancy everywhere they go. With their pleasing and friendly personalities, it’s no wonder why Cebuanas are known around the Philippines to be fun-loving and fierce. It’s clear to see why these single Cebu women are high spirited and outspoken with anything they feel. With their most celebrated festival “Sinulog”, Cebu brings people together from around the world and the country to join in this event filled with cheers and music. Through values and teachings, their bond with others are on a deeper level than most other cultures. Cebu women feel stronger relations with people they love such as family, friends, and lovers. This sense of companionship even escalates to mentors, neighbors, and even workmates. In other words, Cebuanas learn to love naturally throughout their lives. The passion they have for those around them affects even strangers. From public transportations to public areas, these women give respect no matter where they go. These are arguably the best qualities of Cebu women. Their sense of morals and values have given them greater patience and love to others. From the lessons taught by family to the teaching they learn through the love of others, they can communicate with others on a much different sense. This can be observed by how they treat their partners. Even during relationships, these beautiful ladies only commit to men who are just as serious as them. They have the support of their family before anything else, thus, becoming a part of their lives takes a tremendous effort. Get the chance to get to know single Cebu girls who are looking for serious men like you for marriage. These exotic and passionate women are taking the chance in love to spend the rest of their lives with men who are worthy of their undying love. You can learn how to meet Cebu women through our services. Take the opportunity to meet Philippine women seeking marriage and take home your perfect bride today. It’s true that Westernized countries give many standards within society and most of their cultures have become the standard norm in most parts of the world; however, there’s no denial that even Western brides have different qualities compared to Cebu brides. In the Philippines, there are many different aspects of people’s culture that display the Filipinos way of life. Two important factors that revolve the culture of Cebuanas are both family and their religious beliefs. These two factors mainly play a role as to how Cebu women are brought up and develop their genuine personalities. By the teachings passed onto them by their families, they have learned how to take care of one another and to respect those around them. Even during weddings and celebrations such as birthdays, you may observe them nodding their foreheads against the hands of their elders. Such sign is a a symbolism of respect in Filipino culture. This is done whenever an elder is present and is seen as a gesture of both respect and greeting. This level of discipline is also brought into their married life. They later pass down their knowledge of discipline toward their children and even their lovers. Such a gesture is not seen among Western brides for the culture in Westernized countries is far different from that of Cebuana brides. All these and more, family-related events and occasions also vary in terms of celebration. As compared to the Westernized world, Philippine culture is much different in terms of weddings, birthdays and many more. 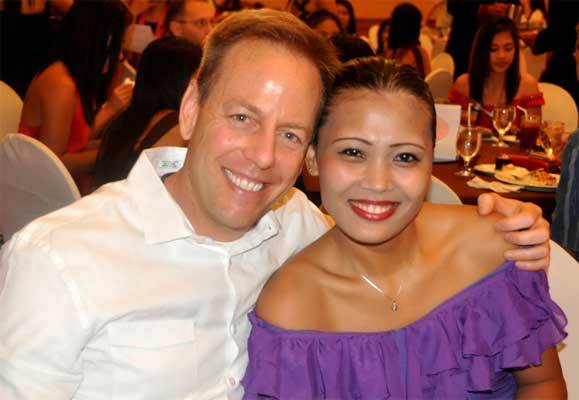 Unlike in countries such as the United States, Cebuanas put in much effort toward the family and even to go as far as to ask permission from them with whom they commit into a relationship with. They need their family’s approval before anything else which implies that their partners must prove themselves as ideal lovers before asking their hand in marriage. This may seem a bit strange to Westerners since family is not commonly involved in the relationships of their children. Weddings in Cebu are increasingly gaining popularity in the entire nation mainly because of the beauty, creativity and passion of Cebuanas when it comes to preparing a wedding. As compared to other countries around the world, Cebu women go the extra mile in making their dream wedding a reality. Wedding traditions for Cebu brides mainly consist of family and close friends. When preparing for that special day, there are many factors involved to make the celebration a reality. Usually in Cebu weddings, organizers are hired to prepare for all detail arrangements such as the venue, decorations, photography, catering, and more. Ranking third as the world’s largest English-speaking nation, Philippines can be a great convenience to foreigners. Being able to communicate with just about anyone during the wedding, it is surely a celebration with no communication barriers throughout the event. With historic churches and scenic venues around, you can expect a beautiful and memorable wedding within the island of Cebu hand-in-hand with your Cebu bride. With our best Cebu marriage agency and matchmaking services, your dream in marrying beautiful single Cebu women can become a reality. You can sign up for our Cebu singles tours to get a chance to meet and date hundreds of our single Cebu ladies who are all eager to meet you in person! Registration is free! With no hidden charges and fees, take a trip around the lively island of Cebu and meet its beautiful women today through us.